Mumbai-based Resfeber Labs Pvt Ltd, which runs an online logistics marketplace The Porter to book mini-trucks and tempos for intra-city pick-up and deliveries, has raised Rs 3 crore (just under $500,000) from Kae Capital. 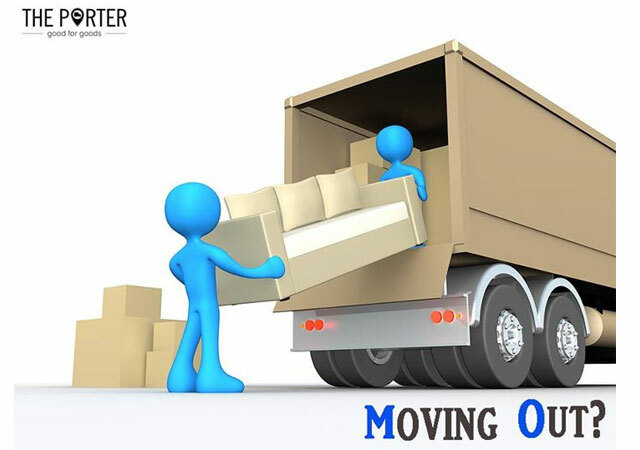 Founded in August 2014 by IIT graduates Pranav Goel, Uttam Digga and Vikas Choudhary, The Porter facilitates users to hire vehicles for relocation or to move perishables, ecommerce deliveries and even construction supplies. It currently links users to service providers in Mumbai. Prior to setting up The Porter, Goel and Digga worked with J.P. Morgan as analysts and Choudhary was with Juniper Networks as an ASIC engineer. "We had been tracking this space for a long time and when The Porter came along we believed it was the right team to back to help them execute their vision. We believe that it is a huge market opportunity,” said Sasha Mirchandani, founder of early-stage investment firm Kae Capital. The Economic Times, which first reported the news, said the firm is looking to raise a Series A round of funding in five-six months. It added that the funds will be used to expand its fleet in Mumbai, as well as to enter Delhi and Bangalore in two-three months. The firm also plans to expand its team of 40 by adding employees in the business development and technology functions. The report cited the company management which claimed that The Porter is already doing over 2,000 transactions every month. Besides individual users, the startup has handled assignments for corporate clients, including consumer goods major ITC, e-com focused logistics company Delhivery and furniture e-tailer Urban Ladder. The firm says its network has a fleet of 100 vehicles, including small tempos to light commercial vehicles, which are in turn owned and operated by its partners. The Porter provides a tech backbone to connect these logistics services providers to users. Several logistics-related startups have raised VC funding in the past six-seven months, partly due to a rise in e-commerce transactions. Another logistics marketplace to get private funding recently is Blowhorn which raised seed funding from impact investor Unitus Seed Fund, with participation from Tim Draper, founder and managing partner of Draper Associates. Early this year, Infibeam, which has an e-commerce venture as well as an e-com enabler business, launched a logistics aggregation platform for online merchants. Called Shipdroid, the SaaS platform enables e-commerce merchants to integrate with a range of courier service providers in India. The logistics space is seeing entry of new players too. For instance, taxi-hailing apps have started experimenting with logistics to better use the network of cabs when they are not transporting passengers. Recently Ola started a local meal delivery service allowing users to order food from partner restaurants in the vicinity which are then picked by its cab or auto drivers to deliver to the consumers. This is still in its pilot phase in limited delivery areas. Last week, The Economic Times reported that Ola is also looking to start local delivery of groceries as an extension of this service.